Martin Staszko had the button. 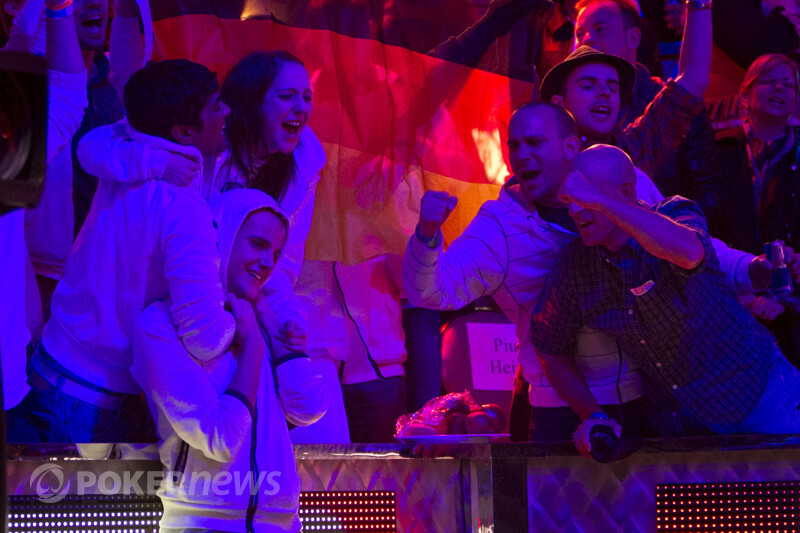 Ben Lamb opened to 2.15 million, and Pius Heinz defended his big blind to go heads up. The dealer flopped , and Heinz knocked the table. Lamb continued out with a bet of 2.3 million, and Heinz looked like he was stacking up raising chips. He slid out a bunch of reds and beiges totaling 5.7 million, and Lamb quickly forfeited. Heinz is over 90 million now.